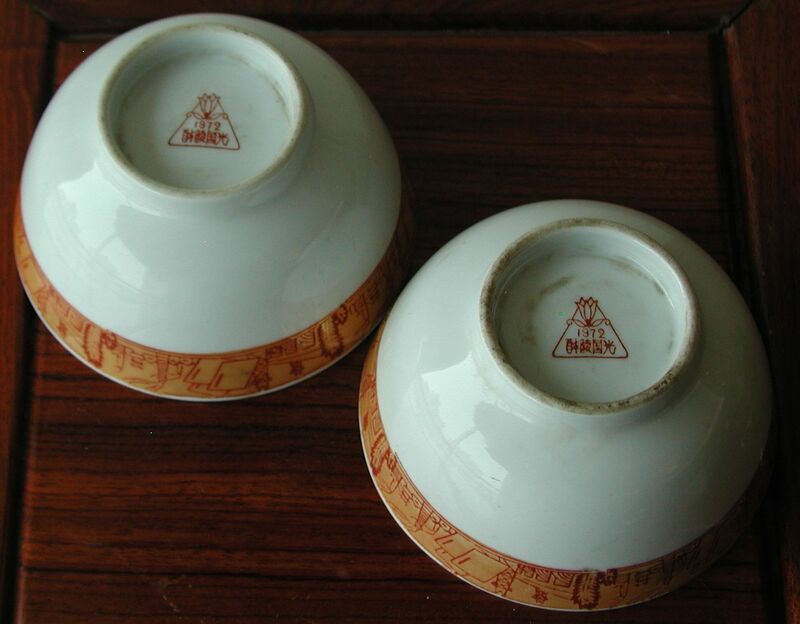 These bowls are probably the most interesting and tastefully decorated bowls produced from that era. The gold band that wraps completely around the bowl is iridescent, which when combined with drawings of traditional CR themes - factories, farming, energy production and Mao Tse-Tung thought - makes this pair irresistible! Each bowl is 11.5cm (4.5 inches) in diameter and 6cm (2.25 inches) high. They were produced in 1972. Both are in very good condition without noticeable wear to the outside and are chip and crack free.